It’s a little embarrassing to admit, but I used to be the Queen of Buying Avocados and Forgetting About Them. We would pick up a bunch at the grocery store, and I would have every intent of utilizing those green goodies in every meal I had planned for the week. And then the next weekend would come and I would find them in the back of the refrigerator browned and almost completely unusable. But no more! 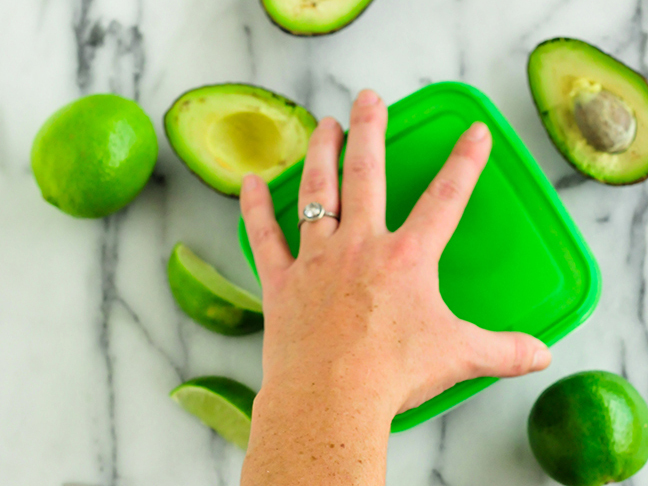 This simple tip for how to store avocados helped me keep my avocados green for days and days! 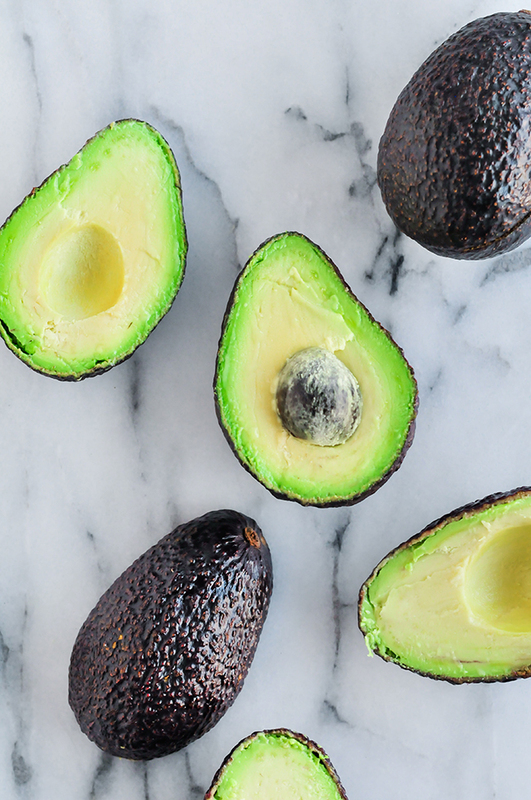 According to Avocados from Mexico, twenty-seven percent of avocado consumption is driven by holidays or special events. And football season is basically one big special event. I’m pretty sure the amount of avocados my family consumes makes up more than a hefty percentage! 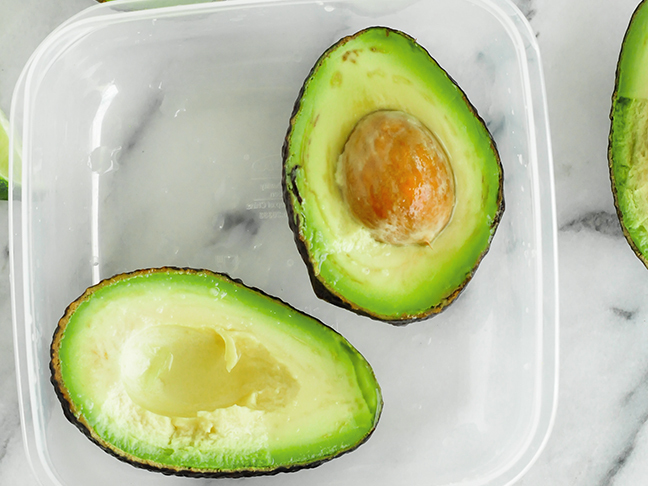 Step 1: Slice your avocados in half and place the halves in a Tupperware container. 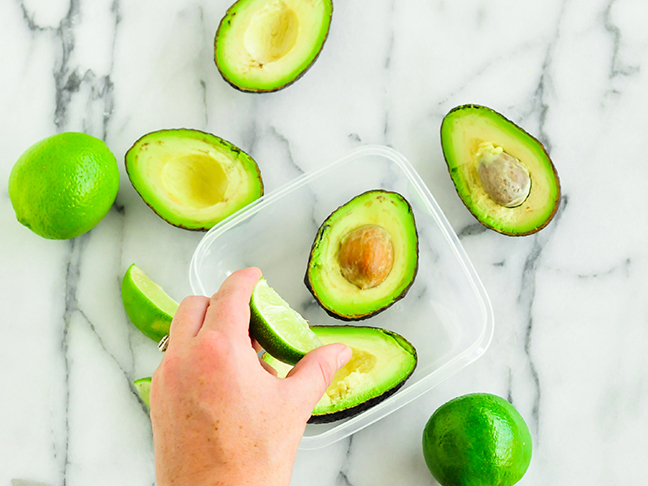 Cut a lime and squeeze the juice from 1 wedge over two avocado halves. Step 2: Next, be sure to leave the pit in the avocado halves. This will help keep the flesh mostly green, though you may have a small brown spot or two. 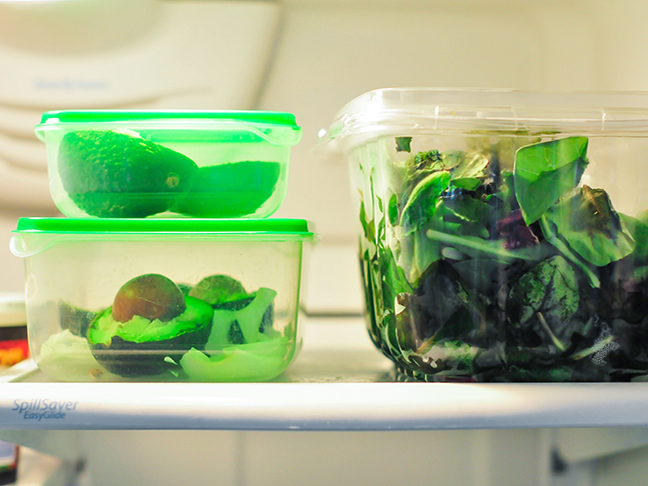 Step 3: Be sure to seal the Tupperware container with either an airtight lid or some plastic wrap to keep air out. 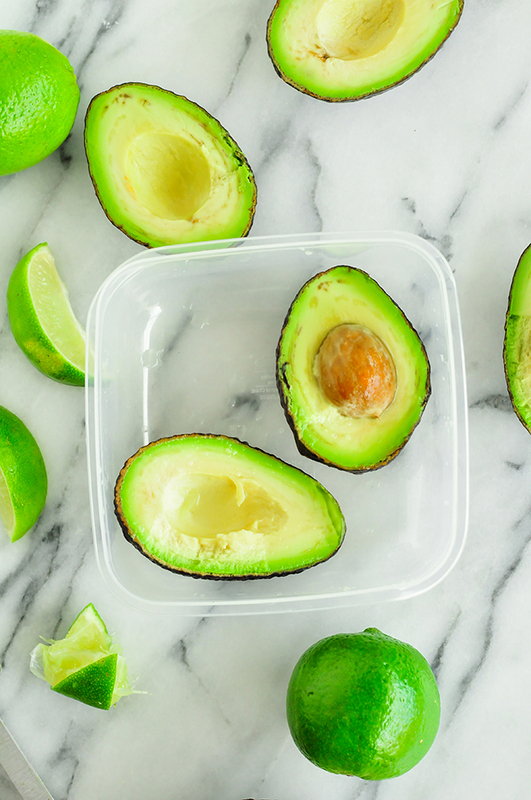 Store the avocados in your refrigerator, taking care to place them away from any fresh fruit that may be unwrapped, as fruit tends to speed up the ripening process. Now just walk away. Go ahead. Forget about those avocados for a few days. After three days. There’s almost no difference except the brown flesh that was brown in the beginning is just a little bit darker. The flesh is a bit softer and ready to be sliced up and served for that weekend party or game night you’re planning on hosting! You could also apply this tip when making guacamole ahead of time and you need to keep things green. 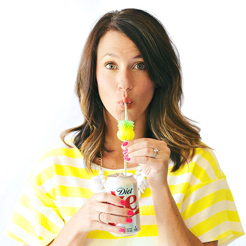 Simply squeeze a lime wedge over the top and seal with plastic wrap. 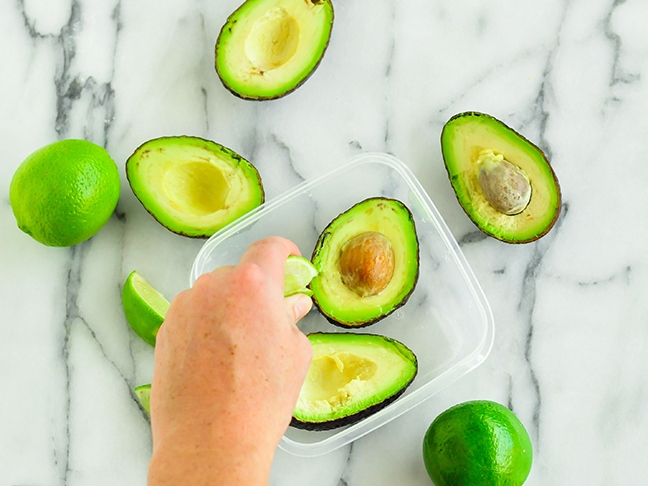 When it’s ready to serve, simply remove the plastic wrap and give the guac a good stir, and you’re good to go! Green never looked so good.